Model T Ford Forum: OT Any ideas on this light? OT Any ideas on this light? 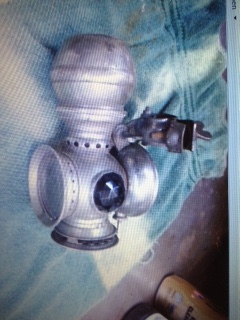 Model T Ford Forum: Forum 2014: OT Any ideas on this light? Any thoughts on this light? 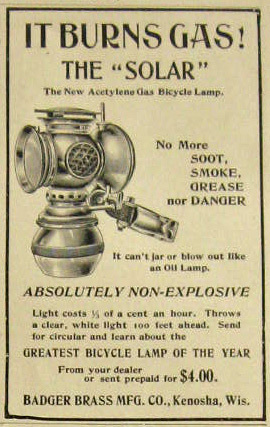 It's a carbide bicycle lamp. The guy that owns the light is a serious vintage bicycle collector with all the accs. He said it is too large for a bicycle. Any other thoughts? My dad has a small collection of Solar Lamps. I'll have see if he has that particular one which I believe is the earliest style because of the round carbide holder on the bottom. In addition to bicycles, Solar bicycle lamps were used on some very early automobiles (such as curve dash Oldsmobiles) motorcycles and carriages. The clip on your lamp, in my opinion, is for a bicycle or motorcycle. I live in Kenosha, WI where these lights were made. Their building was at 20th Ave. and 63rd St., and is no longer there. The site is now part of a modern grocery store. 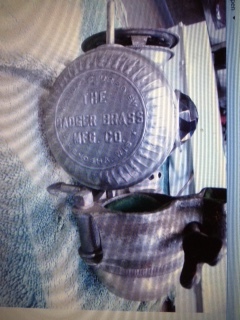 Badger Brass Mfg. Co. was affiliated with the Solar gas lamp mfgrs. 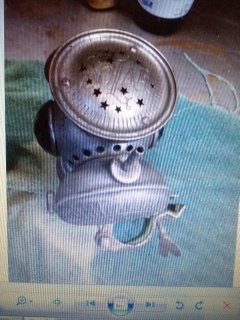 The Solar gas headlights were used on lots of larger cars, and they also made side lights and tail lights. When electric lights became common, they both went out of business.